How can I access JobzMall Maps? JobzMall Maps is a revolutionary way of learning about who is hiring near you in a totally new way. JobzMall Maps is available to every job seeker on JobzMall - all you have to do is sign up. 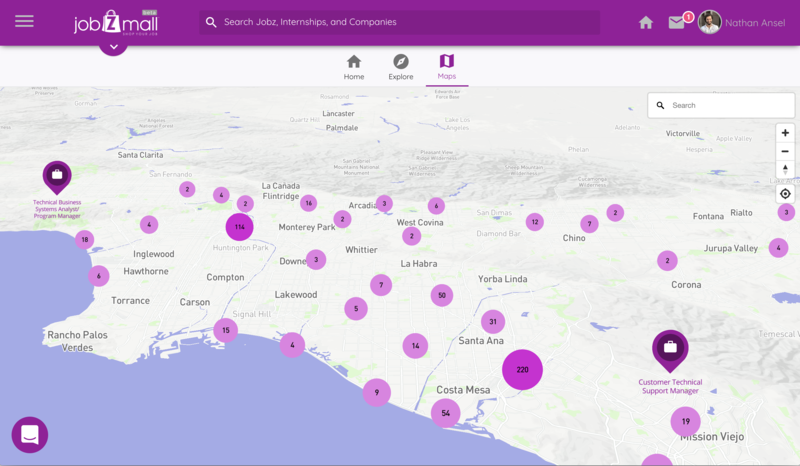 Click here to go to JobzMall Maps right now. You can also calculate your commute to each job - you can learn more about it here.